Bible Study Begins! – Bible Study Begins! Sing with me, “This is the day, this is the day that the Lord has made …”. I’m so excited to be starting the study with you today. I have thought about, prayed about, and prepared for this day and it’s finally here! 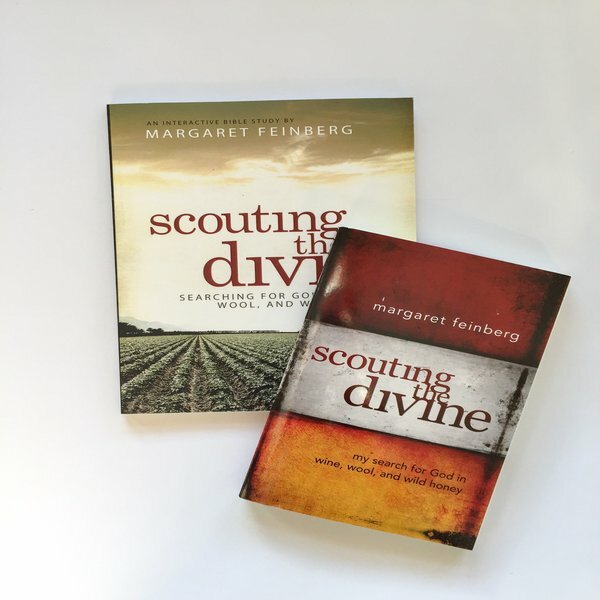 Today, we begin our journey together through Margaret Feinberg’s study, Scouting the Divine. Starting today, you and I will begin reading and working the questions in the first week, pages 13-30 of the Scouting the Divine Workbook. I, also, think you might really enjoy reading the introduction, pages 9-12. Margaret, (I hope she doesn’t mind me calling her that), is a very accomplished young woman and I think you’d enjoy reading about her as well in the Meet the Author section in the front of the book. The study is self guided so that means you determine how much you do in the workbook each day. The only criteria is that you accomplish the first week of work by next Monday, September 16th. I will be posting on here and the Facebook page every Monday, Wednesday, and Friday. On Mondays, I will start a discussion thread and encourage you to participate via comments. Wednesdays, I will post something encouraging like a scripture quote, an uplifting video or a music playlist. If you’ve found something awesome that you think the group would like and that would be uplifting share it! This site is about sharing our faith journey together. Fridays, I will share thoughts with you about my journey through the study and would love to hear yours as well. If you have a prayer request, please use the prayer page on this site. Click on the tab under the header that says Prayer Page and you may leave your request there. Some requests might be of a more personal nature that you’d rather not share with the world. If that is the case, please email me. The email contact button is the picture of the back of an envelope by the Facebook icon and the Pinterest icon found on the top right hand side of the website page. If you would like to leave a request on the Facebook page, either leave it in the comments section or Facebook message me. Please leave comments at anytime on either this site or Facebook. But, if you really want to know that a human being is on the other side of the screen, I plan to be online ready to chat with you on Monday mornings between 8-8:45 am. I’ll be online at other times too but that time will be for sure. My friend, Nancy will be online to chat on the Facebook page on Monday nights, 9-10pm. Please allow me some grace as I navigate and find my way online and learning the computer. I know there will be glitches. I would love to know what you like and don’t like about the sites and what works and doesn’t work. FEEDBACK, PLEASE! Please pray for me, pray for each other, and pray before you begin your study time with God. Please try to use words that heal and not words that hurt when commenting. I’m so glad you are joining me in studying God’s word together and I can’t wait for all that He will do and teach each one of us as we encounter Him in our studies. I’ve had you on my mind and in my prayers! I found it! I am low tech, too! Do we need to be on that WordPress blog? I filled in the info and now I don’t remember the password. If you’re following the Facebook page, you’ll be able to access what I put on the website. Each time, I post on the website I’m going to share it on Facebook so you can always click the link to see the post. If you go straight to the website, it eliminates the extra steps from Facebook. I am rejoicing with you at the start of the bible study today! I NEED this accountability to set time aside and grow in The Lord. Thank you Mimi for all the prayer and time you’ve put into this study so far. Cheers* for the good things to come! I’m so glad you’re doing it!! Thanks, Mimi , for doing this study. I’m excited that we’re going to get to share this experience with y’all! Jack is doing it as well. I look forward to your insights and all that you’re learning.